How I Published 100 Podcast Episodes in 100 Days — and a CHALLENGE! Publishing my first 100 podcast episodes in 100 consecutive days was a major milestone. It proved to myself, my family, my sponsors and my audience that I was serious about my goals. What goal would you like to accomplish this year? Join my 100 Day Challenge to turn your goal into a habit and get killer results. 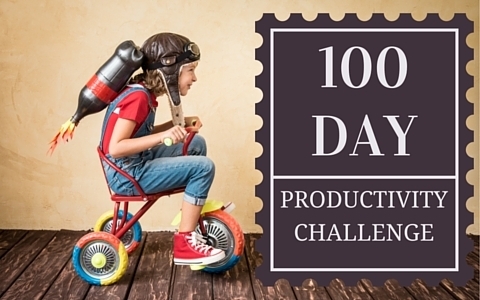 You're now enrolled in the Hello Tech Pros 100 Day Challenge! Check your email for details and get started. I bought the domain hellotechpros.com on February 9, 2016. On Feb 10 I was laid off from work and started socializing the idea that I wanted to start a podcast. I came up with the 7-day a week format quickly figuring that one or two would “break out” and others would die off over time. There is more value in creating the wrong thing than there is in planning something that never comes to fruition. My original goal was to get to 100 episodes. The stretch goal is 365. First milestone was to record 30 episodes before publishing any, that way I’m 4 weeks ahead on my production calendar. I solicited many more from friends and past colleagues. It was tough to explain what I was doing when I didn’t have anything published to show. I launched on April 4 with 32 episodes in the can but with some MAJOR gaps. Did not edit any episodes and did not realize how much time it takes to edit. Spent the next 8-10 days trying to stay one day ahead of publishing schedule. Day 22 found an audio editing team at Transource Media when Rally Vargas contacted me on LinkedIn. Over time got feedback on my “pitch” for guests and worked that feedback into PDF docs and website. Friends, family and colleagues. They already know, like and trust me. The biggest problem is convincing them that have something important to share and that they won’t sound like an idiot. Friend of a friend. Who in your network would make a great guest? LinkedIn – Who has a great position at an interesting company? Who writes articles on LinkedIn? Who is liking, sharing and interacting with MY posts? Twitter – Companies, brands and those that follow them. User groups, tech associations, conferences, speakers, presenters. User groups – Many like-minded people are not just hanging out, they are presenting and teaching and learning. Conferences – Need to start presenting. Other podcasts. Both the hosts and their guests.